The monkey narrator in this humorous picture book gaurantees that he can READ YOUR MIND. 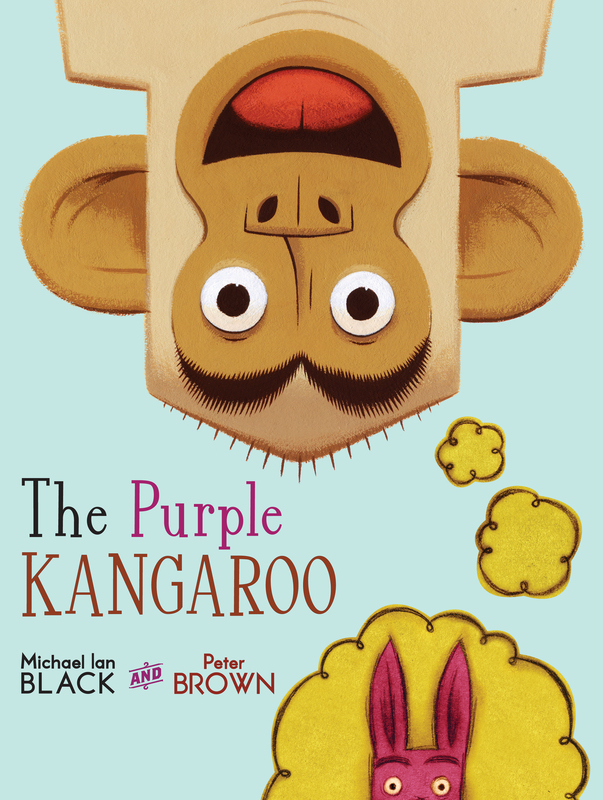 What begins as a simple request to imagine the most spectacular thing in history turns into the story of a roller-skating, bubble-blowing purple kangaroo searching for his dear friend Ernesto on the moon. 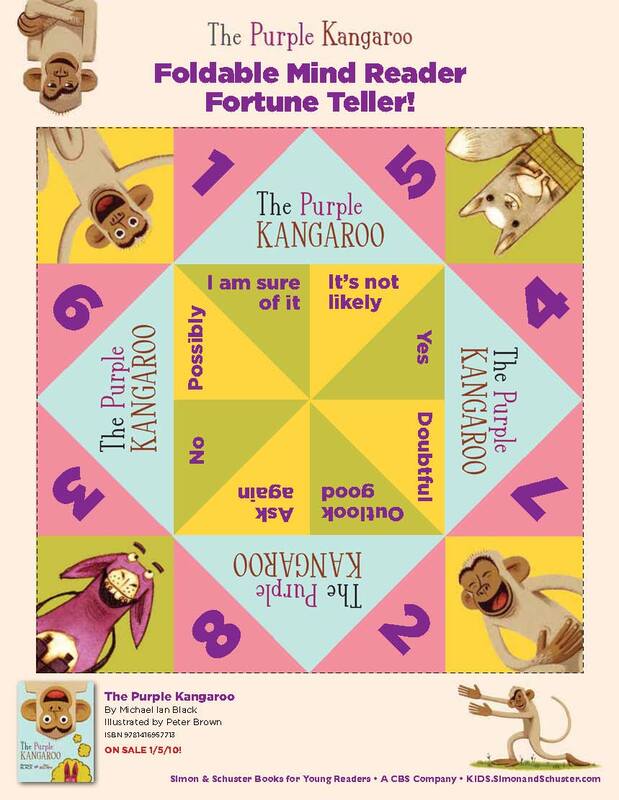 So by the time you finish this book, there's no chance you will be thinking of anything BUT the purple kangaroo.